The new venue for the London show is now The Black Heart. Support will be the mighty Basement Torture Killings and Foul Body Autopsy. Before we leave for the festival shows next week, we thought we’d treat you to the cover art of the upcoming 7″ EP ”Like An Ever Flying Limb”. 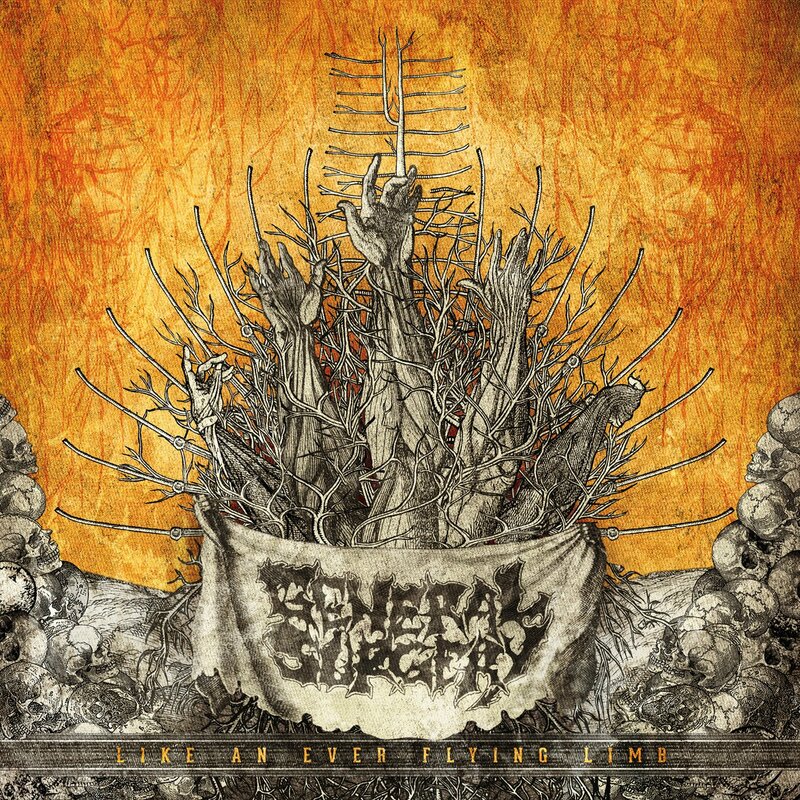 Swedish goregrind legends GENERAL SURGERY will release a brand new 7 EP entitled ”Like An Ever Flying Limb” this fall via Relapse Records. 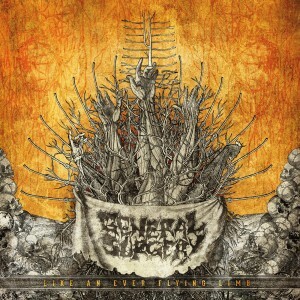 The limited edition EP contains 5 new tracks of the bands gut-splattering gore and was recorded in October 2011 at Audiogrind Studio in the bands hometown of Stockholm. A release date will be announced shortly while the cover art is available for preview now at this location. 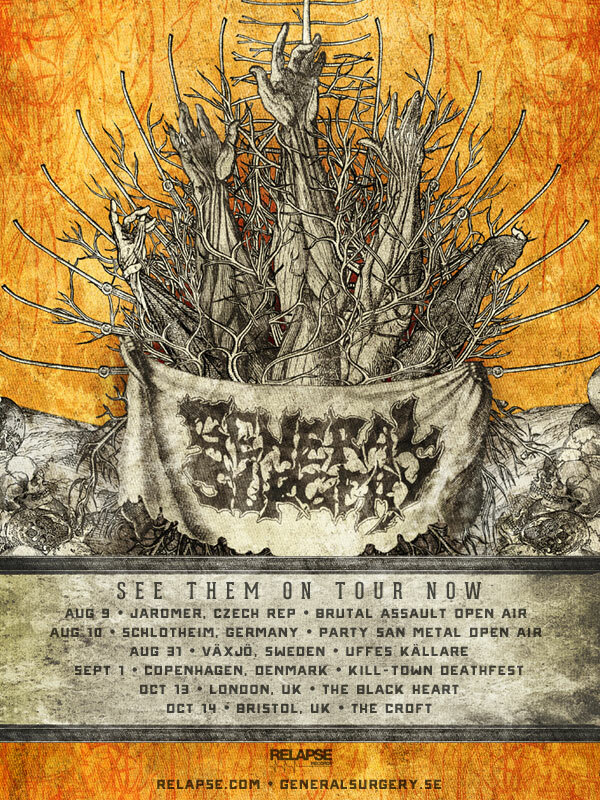 Additionally, the band has announced a string of festival appearances plus rare UK club shows including Czech Republics Brutal Assault, Germanys Party San, and Denmarks Kill-Town Deathfest. A complete listing of dates is available below. 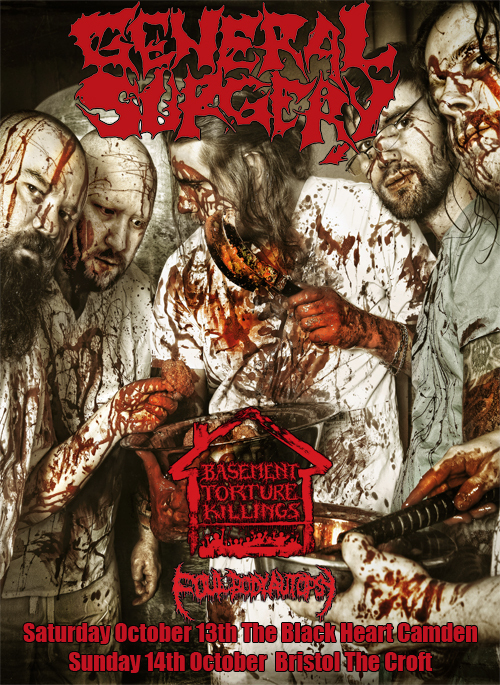 Earlier this year saw the release of A Collection of Depravation, a compilation of 30 GENERAL SURGERY choice cuts digitally remastered by Pig Destroyers Scott Hull. The album is currently available for streaming in its entirety here. The band plan to record their long awaited 3rd full-length album in the near future. GENERAL SURGERY are available for interviews upon request. To get in touch with the band, simply contact bob@relapse.com. Stay tuned to www.RELAPSE.com and the official GENERAL SURGERY website and Facebook page for the latest GENERAL SURGERY information.